A new academic year is about to begin and it’s the time for Student Life Fair 2015, NUSAS Welcome Tea AY15/16 and the Annual General Meeting AY15/16 with Elections. This Welcome Tea will introduce the NUS Astronomical Society and its activities to all interested students. We’ll also share more about membership privileges as well as information about our upcoming elections. We will have fun and games for everyone and maybe even an observation session (should the weather permit) at the end of the Tea. Pizza and light refreshments will be served afterwards, so do come on down! In addition to our Welcome Tea, we’ll be taking part in the Student Life Fair held at the UTown. This year, the event will be held in NUS UTown on 13th to 14th August (1100 – 1800 hours) and 15th August (1700 – 2200 hours). If you have any queries about the club, please feel free to talk to us then! For the Annual General Meeting AY2015/16 with Elections we will be recapping on the various milestones covered by the current 17th Executive Committee. Following which, we will also have our Elections for the 18th Executive Committee. Large discounts for AstroBash, our very own overseas stargazing trip! If you are interested in these positions, simply fill up a short nomination form here. The deadline for submitting the nomination form is 24th August, 6pm. Note that a background in astronomy is not necessary, so long as you are willing to learn on the job. After submitting your nomination form, we’ll send you a confirmation email. We will also provide some additional information and/or ask some follow up questions so that you have a better understanding of what these roles entail. A friendly reminder: Only members can run for the exco! Our membership fee is $15 for your lifetime in NUS. Ever wondered how names of planets are selected? Are you keen in taking part to decide the name of a planet outside of our solar system? Now here’s the chance to provide a name for an exoplanet (planet beyond our solar system) and/or vote for your favourite! The NUS Astronomical Society has recently been officially listed in the International Astronomical Union (IAU) Directory for World Astronomy. We are also the only registered society in Singapore (hurray!). As part of this listing with the IAU, we are given this rare opportunity to nominate names for exoplanets as part of the IAU NameExoWorldscontest. You may nominate names for any one of the 20 exoplanetsystems available for naming. Your nomination should include a proposed name, as well as a detailed argument (no more than 250 words) for why your name should be chosen. Further rules and regulations are found here. 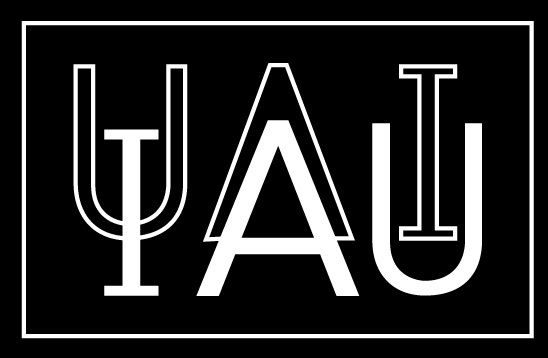 The IAU deadline for nominations has been extended to July 17th, and all nominations have to be submitted through NUS Astro. Voting will then commence shortly after. We will really appreciate if you submit your nominations to us at nusastro@gmail.com by July 15th 2359 hours, Singapore Time. We will also be sharing on our Facebook Page and on this website some of your creative proposals! Last but not least, Clear Skies!